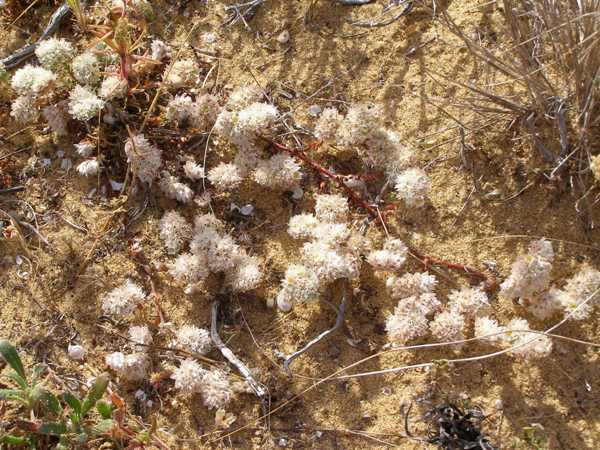 Above: Common Dodder scrambles all over its host plants. Dodder is parasitic on a wide range of plants and shrubs, but in particular on members of the pea (Fabaceae) and heath (Ericaceae) families. Common dodder forms a mass of purple or reddish thread-like stems that crawl all over the host plant; and both the leaves, which are reduced to small scales, and the tiny flowers are very difficult to spot. The flowers appear in clusters and are white or pale pink. 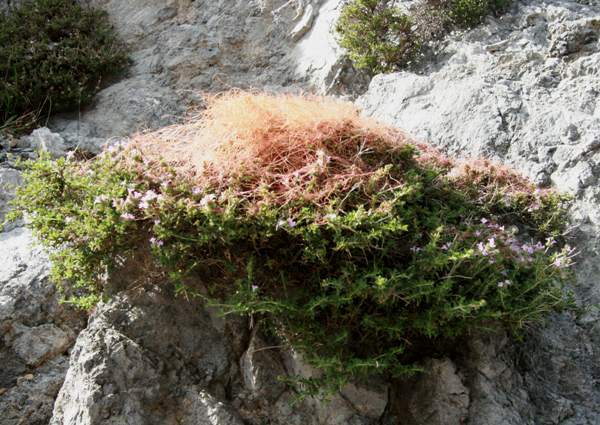 This curious parasitic plant is found throughout Europe including the Mediterranean region except for Cyprus. 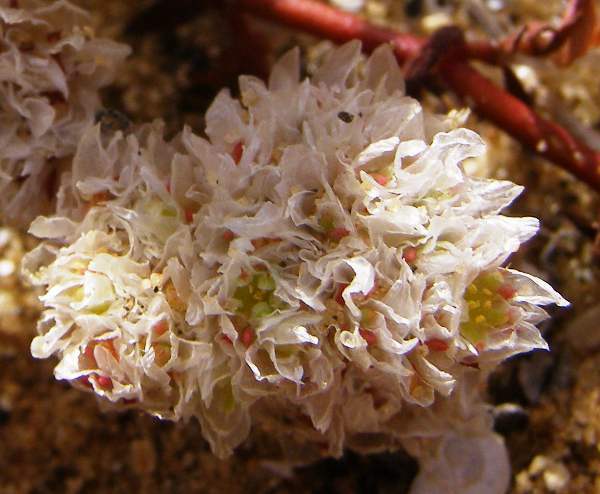 The flowers of Common dodder form tiny clusters. This wildflower grows in the same places as its hosts, and it produces minute pale blooms from April to October. The plants shown above were photographed in Crete at the beginning of April. Below is a picture kindly contributed by Sue Rhodes; it shows Dodder scrambling over the gorse on a Cornwall clifftop.